Cartier has, over its 108-year history with the men’s wristwatch, occasionally produced some visually and aurally arousing timepieces. One such watch, a magnificent yellow-gold Tortue minute repeater from the 1920s, was proudly on display during the brand’s Time Art exhibition in Singapore, which traced its history in the craftsmanship of time-telling finery over the past century. In recent years, this watch was faithfully recreated with the addition of a small seconds indicator, using a Renaud & Papi repeater movement under the brand’s Collection Privée Cartier Paris line of timepieces. However, the new Rotonde de Cartier Minute Repeater Flying Tourbillon represents a quantum leap forward to Cartier’s new ability to craft a minute repeater movement fully in-house — a project that has occupied the last four years for one incredible watchmaker and her team. 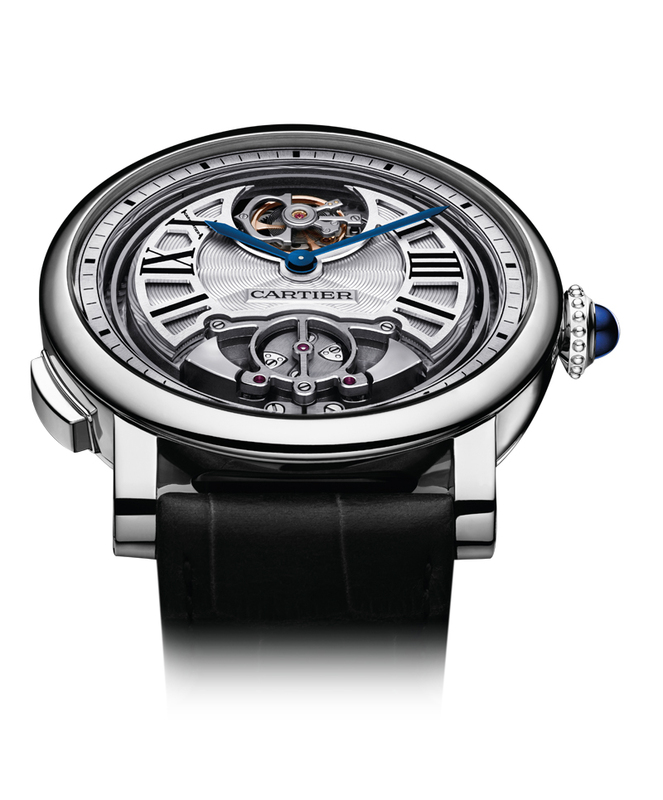 Carole Forestier-Kasapi, the head of high watchmaking at Cartier, has been very busy in the last half-decade. She and her team have created 15 movements in four years — four of which received the hallowed Geneva Seal. 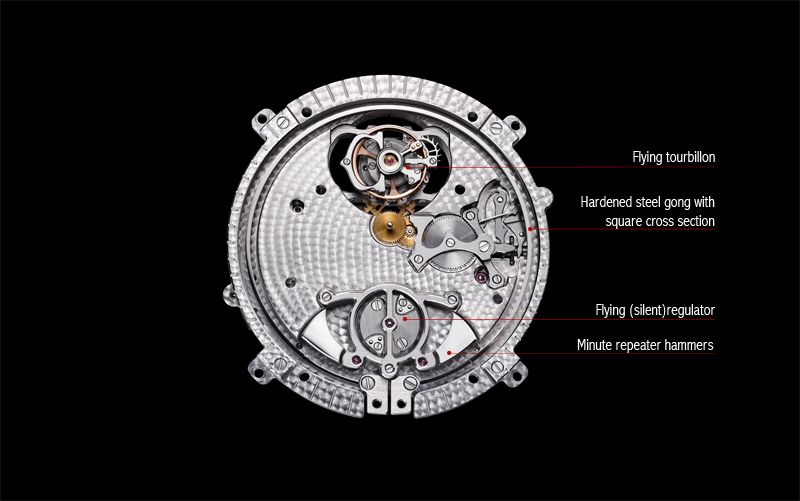 They have, in that time, mastered (in no particular order) the flying tourbillon, the perpetual calendar, the GMT watch, and the column-wheel chronograph, and ushered in an entirely new vision of poetically inclined complications such as the Astroregulateur, a watch where the balance wheel is transplanted to the automatic rotor. Her team has gone from a handful of collaborators to 30 dedicated people in Cartier’s movement development team and 40 master watchmakers in its manufacture. As you can tell from her watches, Forestier-Kasapi has two very defined aspects to her character. The first is whimsical, resulting in creations like the Astrotourbillon, an ingeniously irreverent reinterpretation of Abraham-Louis Breguet’s 200-year-old device, the tourbillon regulator. Here, instead of the cage containing all of the regulating components, rotating on its own axis, it takes a flight path around the perimeter of the dial, becoming the world’s most visually arresting seconds indicator. But she also has a decidedly serious side. And it’s this aspect that comes to the fore when she describes Cartier’s research into minute repeaters. Before drawing even the first sketch for the new Rotonde de Cartier Minute Repeater Flying Tourbillon, she reduced this complication to its most basic element: sound. And before she was finished with her research, she’d learned enough about sound to teach a PhD class on its properties. How loud a repeater is has to do with acoustic transparency, which is the ratio between the mass of the watch and the mass of the gongs. This should favor the gongs as much as possible. Forestier-Kasapi explains, “It is for this reason that we offer the watch in a titanium version — because this has excellent acoustic transparency. But many people are misinformed about titanium. 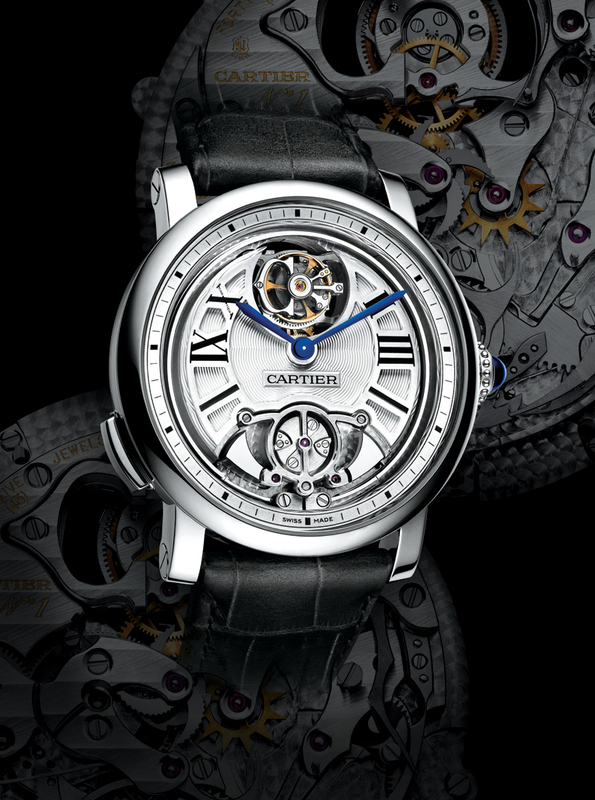 It is not a better material for striking watches because of its innate qualities, but simply because it is much less dense and much lighter than gold or steel.” For those who prefer their watches in more traditionally noble materials, you can also have the new Rotonde de Cartier Minute Repeater Flying Tourbillon in rose gold, at a sacrifice of five decibels (it’s 63dB, versus 68dB for the titanium watch). If you are vacillating between the two, Forestier-Kasapi suggests the titanium watch. “Five decibels is a lot,” she explains. 55 decibels (measured from a distance of 50cm) — a level achieved by attaching its gongs directly to the sapphire crystal. To have excellent vibration transmission, you must create as much rigidity between the object that is vibrating (the gongs) and the object that is transmitting the resulting sound (the watch case). As such, in the Rotonde de Cartier Minute Repeater Flying Tourbillon, Forestier-Kasapi used four points of transmission between the movement and the case, and two more points at which the gongs were fixed to both the movement as well as the case. Then came the task of tuning the repeater to provide the best possible tonality. Says Forestier-Kasapi, “The choice of notes is fundamental to achieving good harmonic quality and purity of sound. We worked with some experts in this field, and eventually arrived at two notes: ‘B’ in the fifth octave for the low note, and ‘D’ in the sixth octave for the high note.” To aid in the audio clarity of these notes, Forestier-Kasapi selected a flying regulator for the watch which, through the design magic of Cartier, has been transformed into a stunning kinetic flourish on the dial. When I bring up the dual aspects of her personality, Forestier-Kasapi rebuts that she is, in turn, channeling the dual aspects of Cartier. The brand is at once whimsical and filled with a buoyancy of emotion, yet belied by a slavish devotion to quality and function. With that, I realize that Forestier-Kasapi has summed up the Rotonde de Cartier Minute Repeater Flying Tourbillon’s uniquely Cartier-like ability to marry emotion, design ingenuity and high-complication brilliance into one watch, leaving me at a loss for words, enjoying the stirring peal of its gong in the silence that remains.